A journalistic investigation of what will happen to the world's coastal regions as climate change elevates sea levels and conjures up extreme weather. Once you’ve read an excellent book about climate change, which Jeff Goodell’s The Water Will Come most certainly is, you can never unremember the facts ... After this year’s calamitous flooding in Houston and the Caribbean, The Water Will Come is depressingly well-timed, though I’m guessing all good books about this subject will be from now on. Goodell talks about climate change and what it means to every person on the planet in a way that will engage even the non-Nova crowd. Yet at times the book is repetitive. Amid swirls of statistics come the same points over and over: Fossil fuels get much of the blame. Millions of people will be displaced as water moves inland permanently. Many also will lose their livelihoods and life savings invested in their homes. Policymakers move at a glacial pace. Real estate developers refuse to heed warnings. People who believe in climate change will find themselves nodding and tsk-tsking as they zip through this easy-to-read volume. Global-warming skeptics might want to invest in some diving gear. If there was ever a moment when Americans might focus on drainage, this is it. But this fine volume (which expands on [Goodell's] reporting in Rolling Stone) concentrates on the slower and more relentless toll that water will take on our cities and our psyches in the years to come. 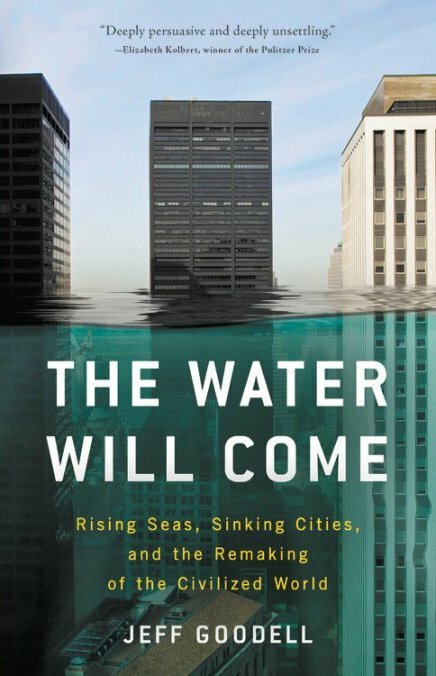 What did you think of The Water Will Come: Rising Seas, Sinking Cities, and the Remaking of the Civilized World?